80% Clairette and 20% Roussanne from Côtes du Rhône, France. SRP of $12 and available for $9. Sample received courtesy Palm Bay International for review purposes. Les Abeilles (“the bees”) is a complex, multi-faceted wine that evokes the image of these fascinating creatures, often seen around our vineyards. A blend of traditional white southern Rhone grapes, Les Abeilles originates from vines grown in the region’s ancient, terraced vineyards. This gracious, medium-bodied white has floral and fruity aromas and a supple, harmonious palate. Enjoy anytime! 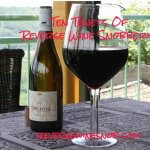 Last week we reviewed the other Les Abeilles wine from Jean-Luc Colombo, the Rouge, and loved it. Today we turn to the white blend. 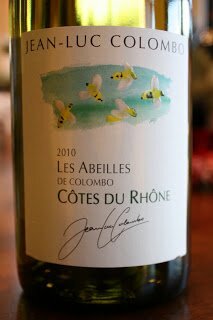 The 2010 Jean-Luc Colombo Les Abeilles Côtes du Rhône Blanc begins with floral honeysuckle aromas as well as citrus, green apple and pear. 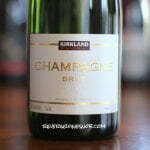 The wine tastes of smooth pear and lemon flavors. 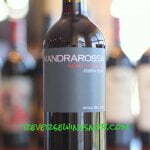 This wine has good acidity and is food friendly with a nice finish. Don’t serve this one too cold to get the best flavors. Cheers!